You are here: Home / All / 8 Favourite Swim Out Suites! 8 Favourite Swim Out Suites! Consequently, we get asked a lot about swim out suites when it comes to destination wedding guests and modern room upgrade options. Swim out Suites is a standard room feature given to newer properties, with older properties you’ll see more and more resorts renovating to include these fabulous suites due to popular vacation demand. We do have some favourite swim out suites! We do recommend them, but each resort can vary in layout from an entirely private walk out suite pool to a shared pool area between suites that runs the length of several suites. A swim out suites is typically always heated only by the tropical sun. We’re here to help give you the information you need to determine if your resort choice has the perfect swim out for you! Firstly, I took this photo just a few weeks ago at Dreams Las Mareas in beautiful Costa Rica! Dreams Riviera Cancun is one of my truly favourite properties. Upscale, Great for families, Active and yet relaxing too. Resort swim out suite at Majestic Colonial in Punta Cana. I would highly recommend this Premium section for guests wanting a quieter, luxury stay. Consider your wedding at the new Royalton Cancun. It may be the perfect option for your wedding plans. 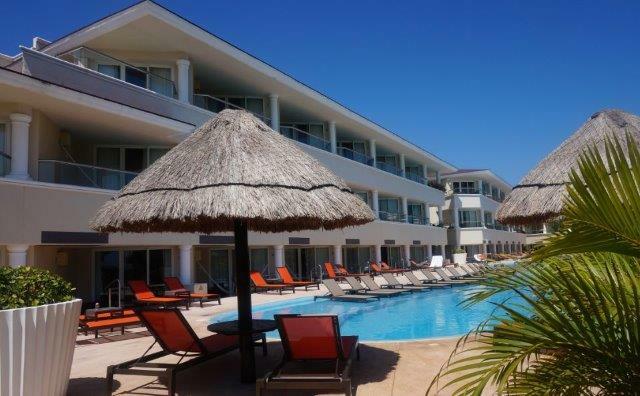 Relax in your Swim out after enjoying an incredible resort day at Secrets Huatulco. 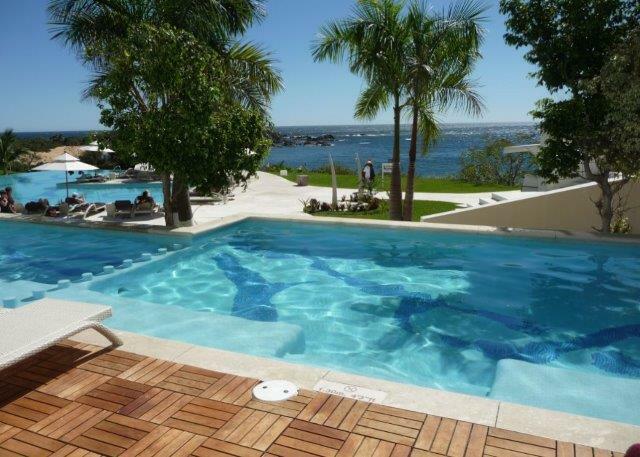 You’ll want go back and forth between this pool and experiencing the breathtaking views of this amazing property. Sunrise section at Moon Palace offers this private area with small pool perfect for enjoying a favourite book! Truly a private swim out suite Dreams Riviera Cancun is the one for you if you are looking for that entirely private pool time, right off your living/bedroom. Last but not not least for our favourite swim out suites is the wonderful casita suites offered exclusively at El Dorado Casitas. These suites are the perfect weddingmoon option! 10 Beautiful Destination Wedding Dresses! 13 Destination Wedding Shoes to Die For!